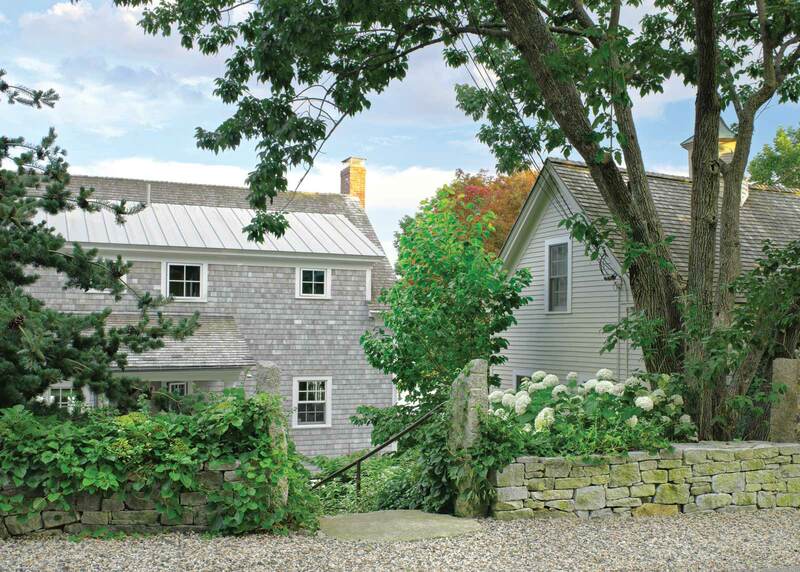 Perched on a bluff above the Piscataqua River in Kittery, this granite and shingle cottage and guest house are a summer retreat for an extended family. 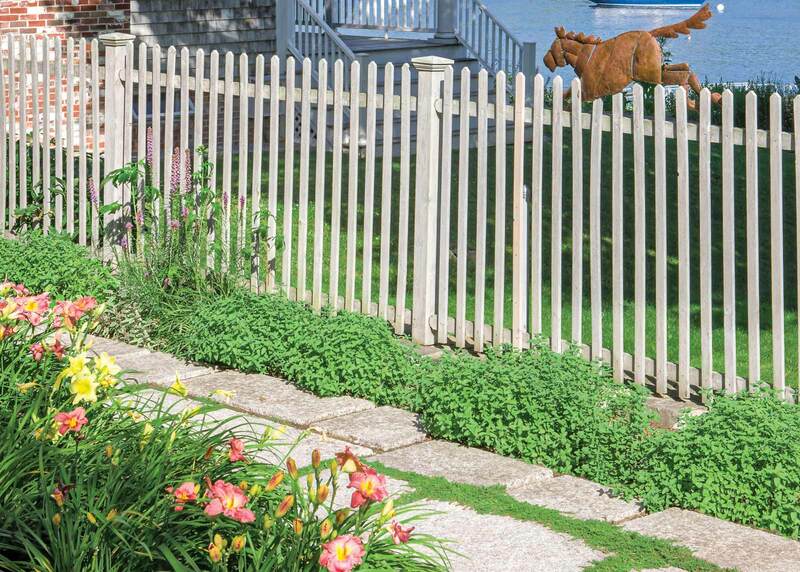 The home has commanding views of Portsmouth Harbor and the Atlantic Ocean. 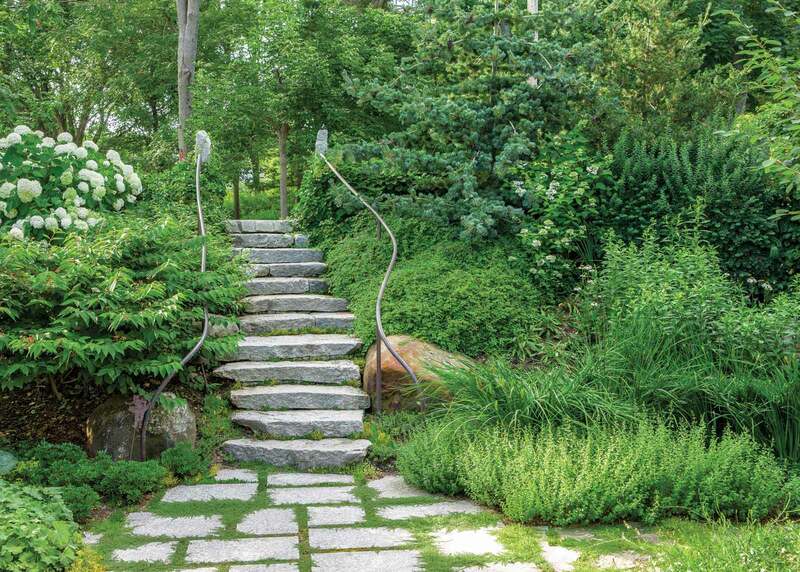 Stacked local granite steps descend from a parking court on the front hill to a verdant entry garden that conceals a sculptural millstone amidst a sea of vibrant textures. 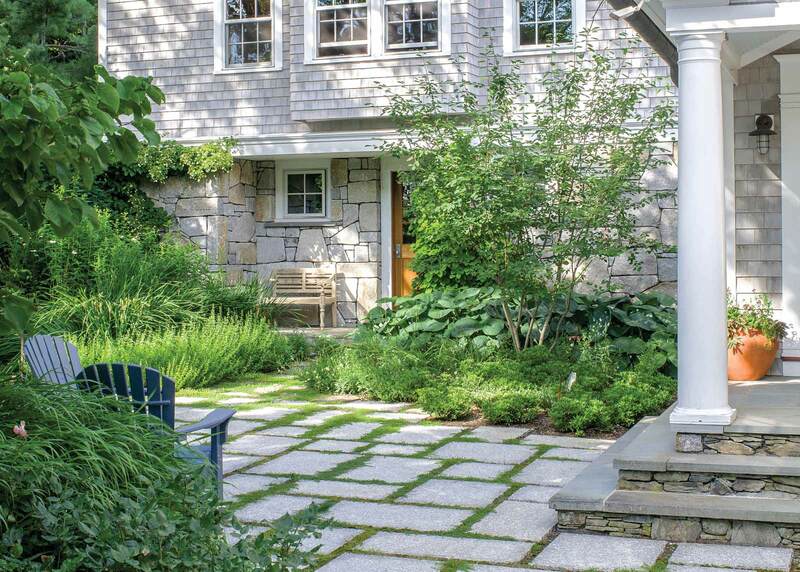 A compliment of grasses and flowering perennials mark the entrance to this seaside getaway. The plants respond to the whim of the breezes off the water with movement, sound, and fragrance. Nearby, a granite-paved alcove and seating areas provides shelter on windier days. 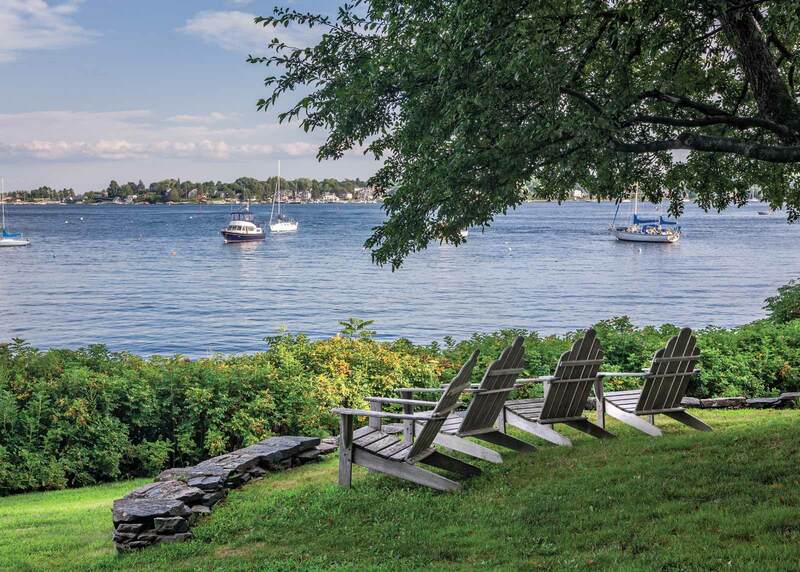 At the rear of the house, a dock at the water’s edge is designed to meld with the area’s rustic setting. The dock offers easy access to boats and provides a place for grandchildren to fish and crab. To control the stormwater on this steeply sloping site, sweeps of native grasses, roses, and seaside forbs cover the bluff and frame the property’s pathways, producing a unique blend of seaside ecology and aesthetics. The custom blended plant palette creates a system of bioretention that allows the property to function as a high-performing landscape. The client describes the garden as the perfect “little black dress.” Perpetually classic, the garden can be dressed up according to the season or the client’s needs with a splash of color in the beds or in the property’s collection of artisan pots.